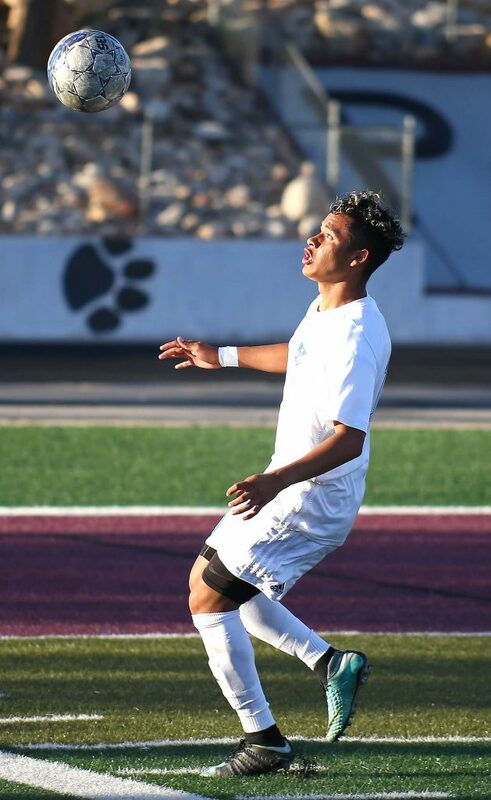 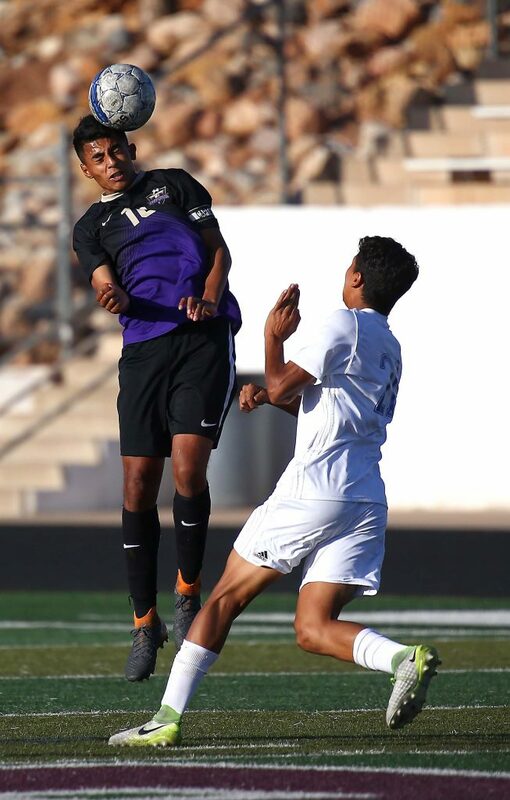 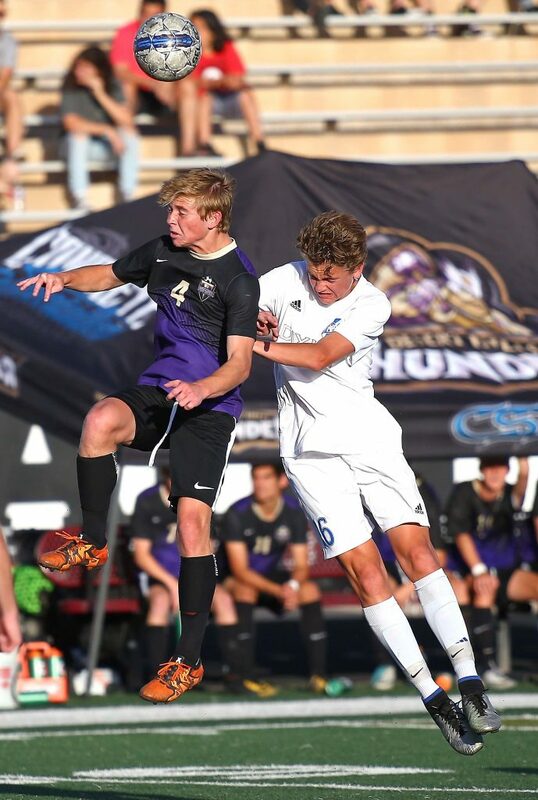 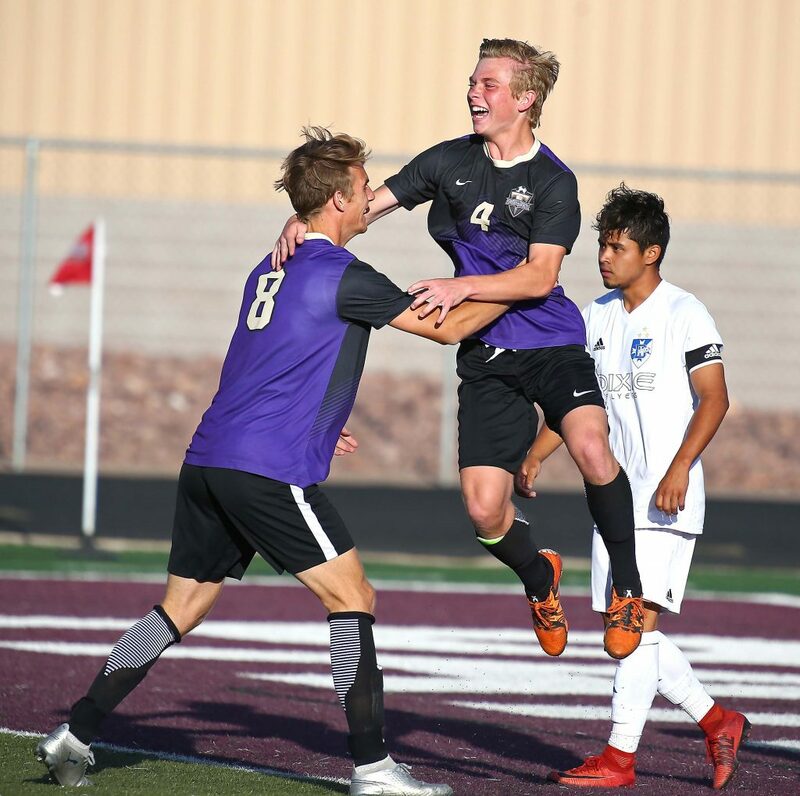 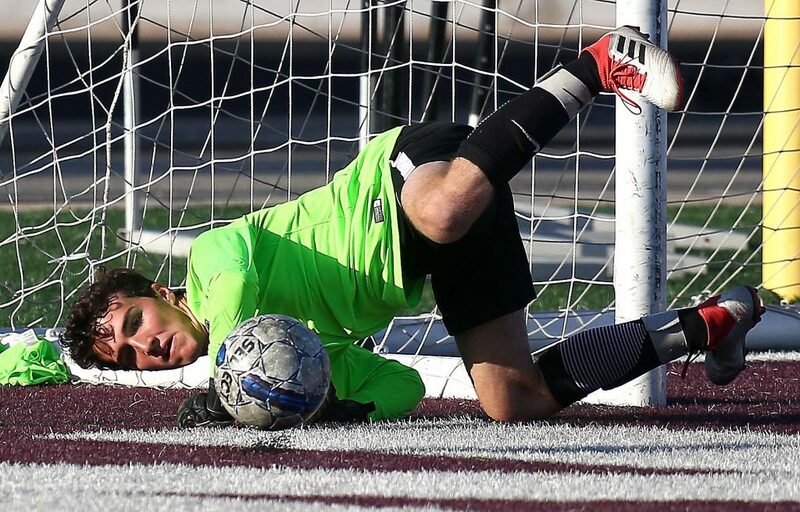 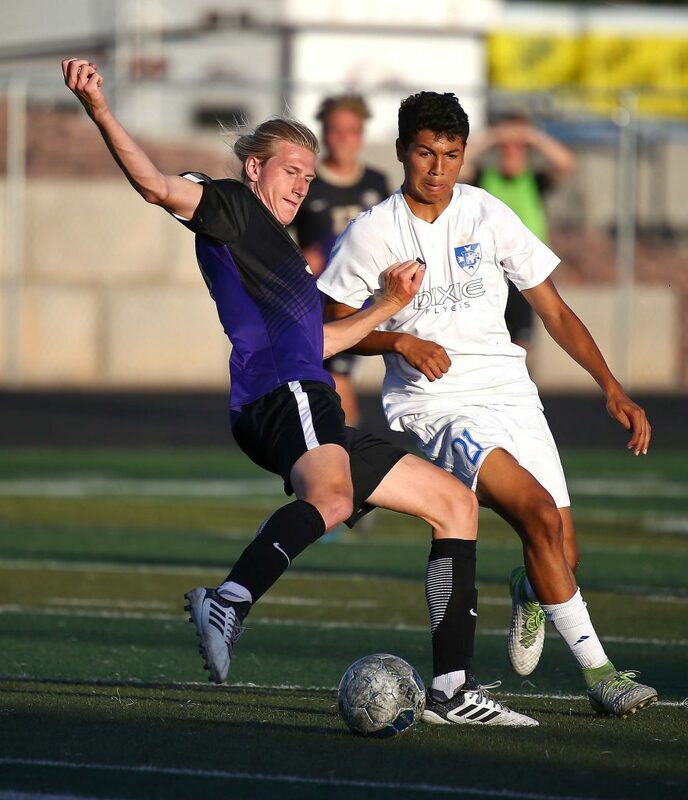 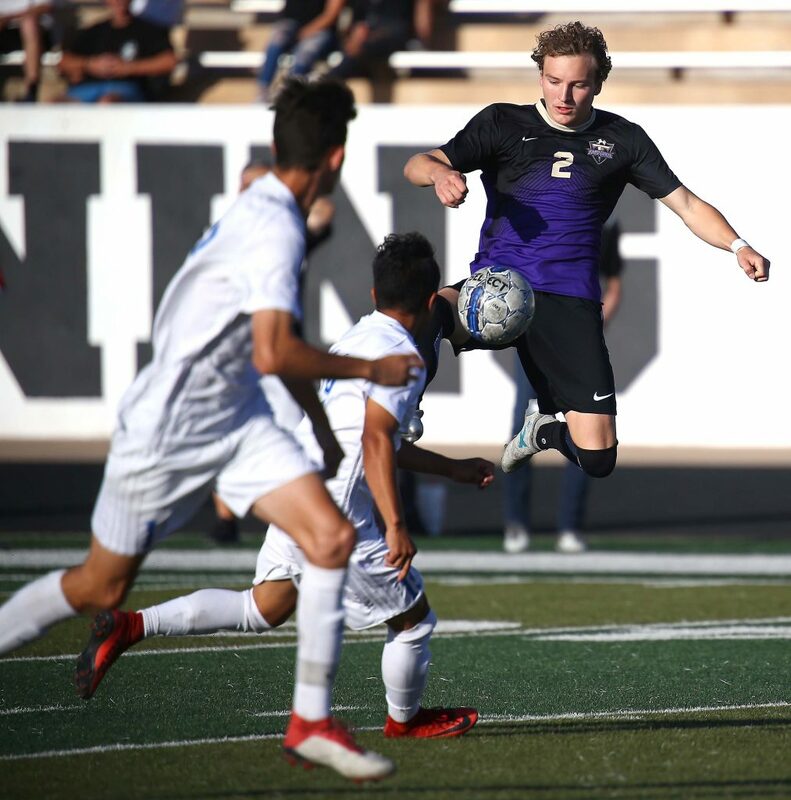 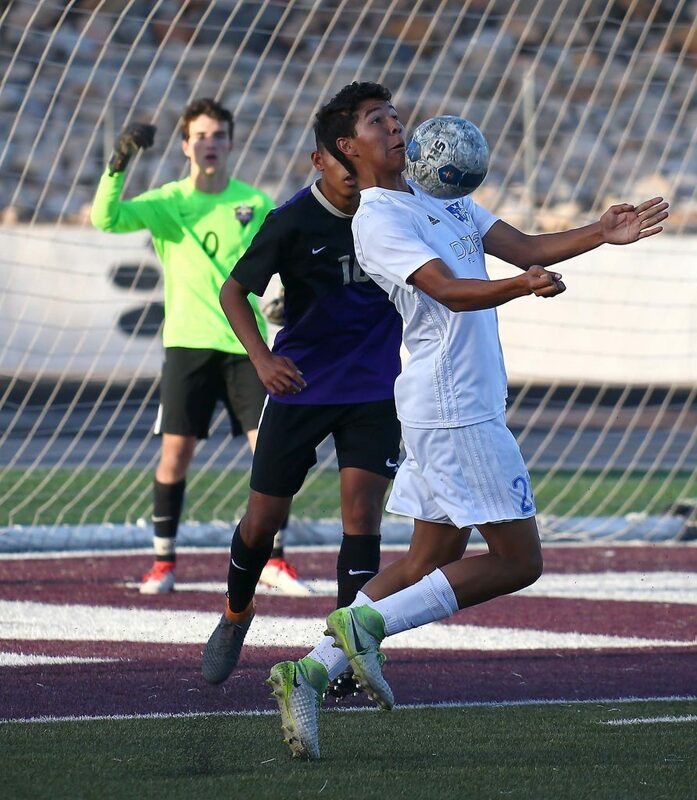 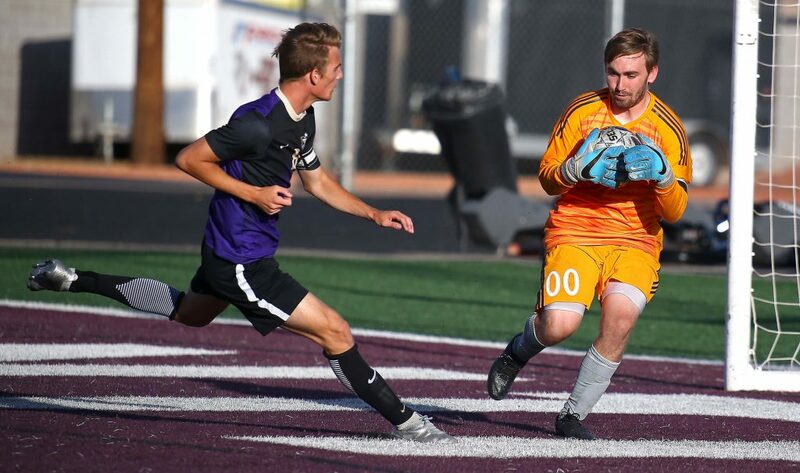 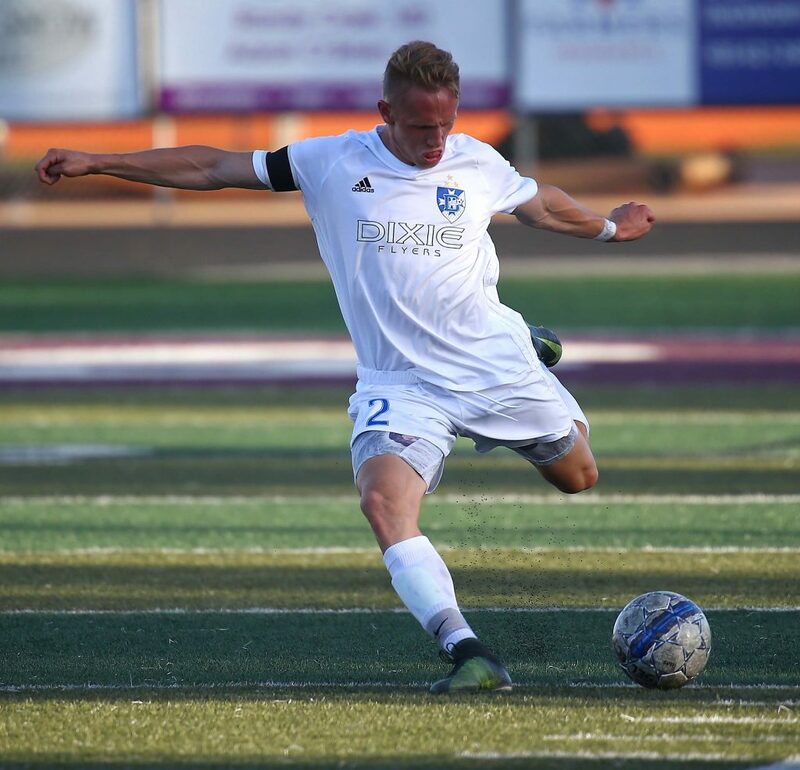 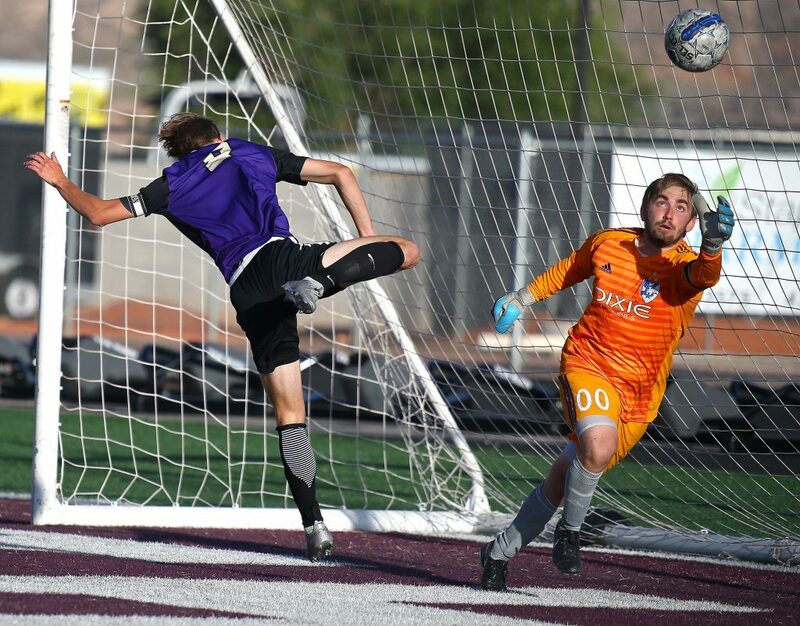 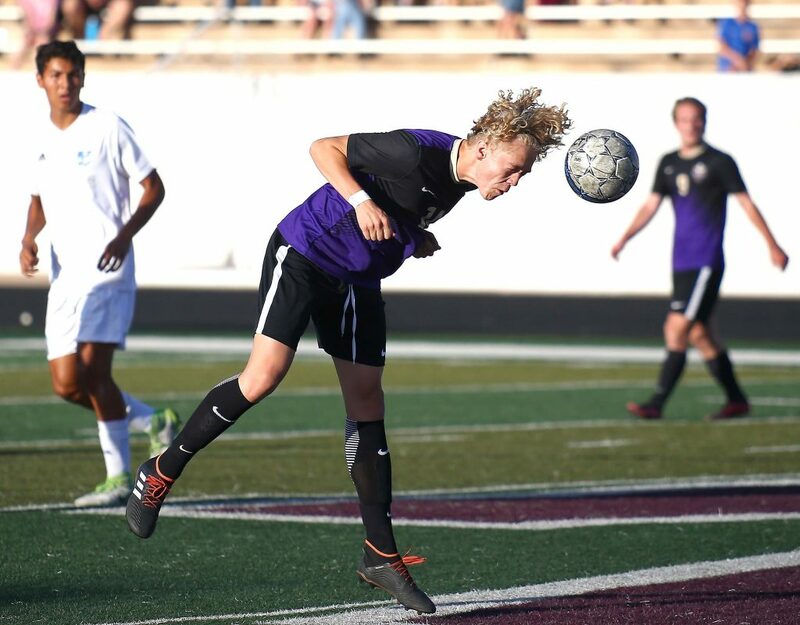 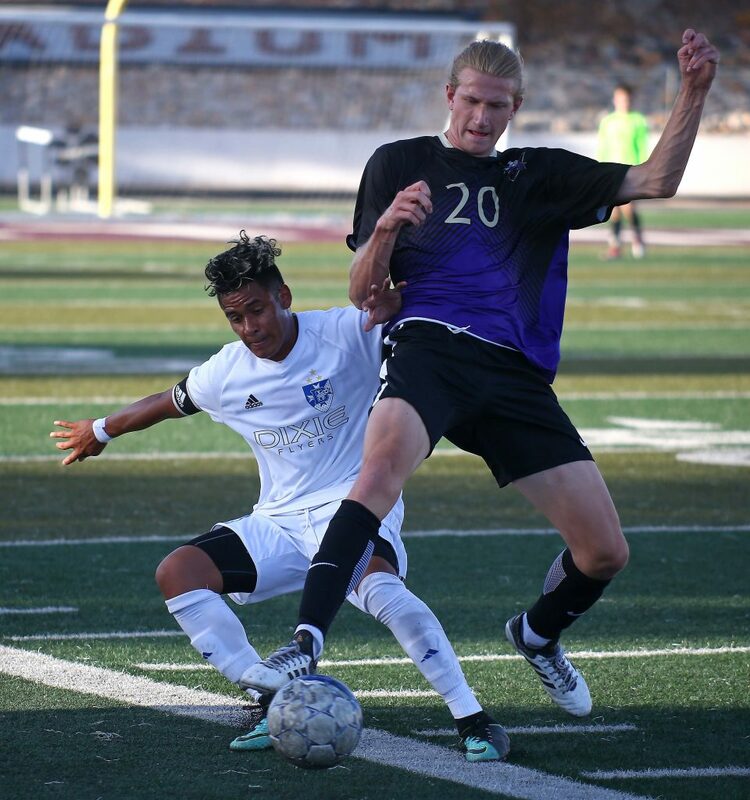 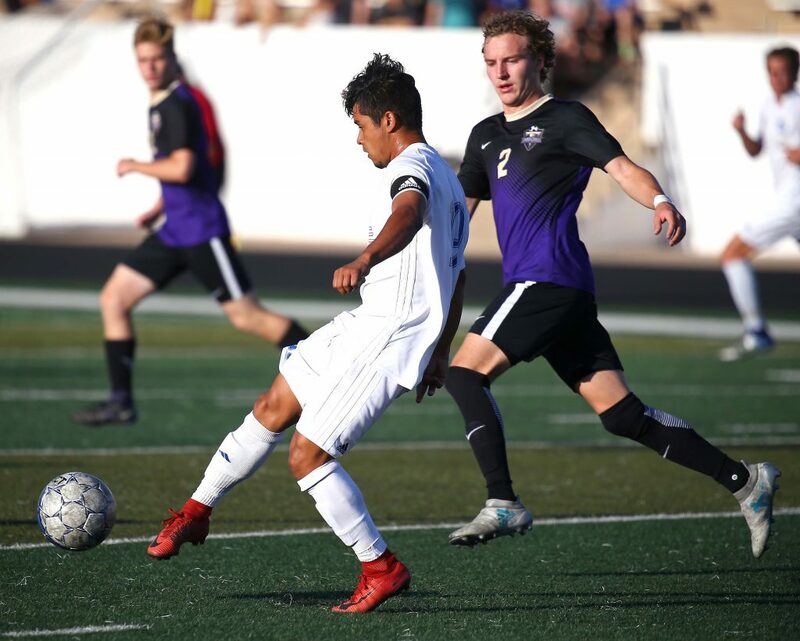 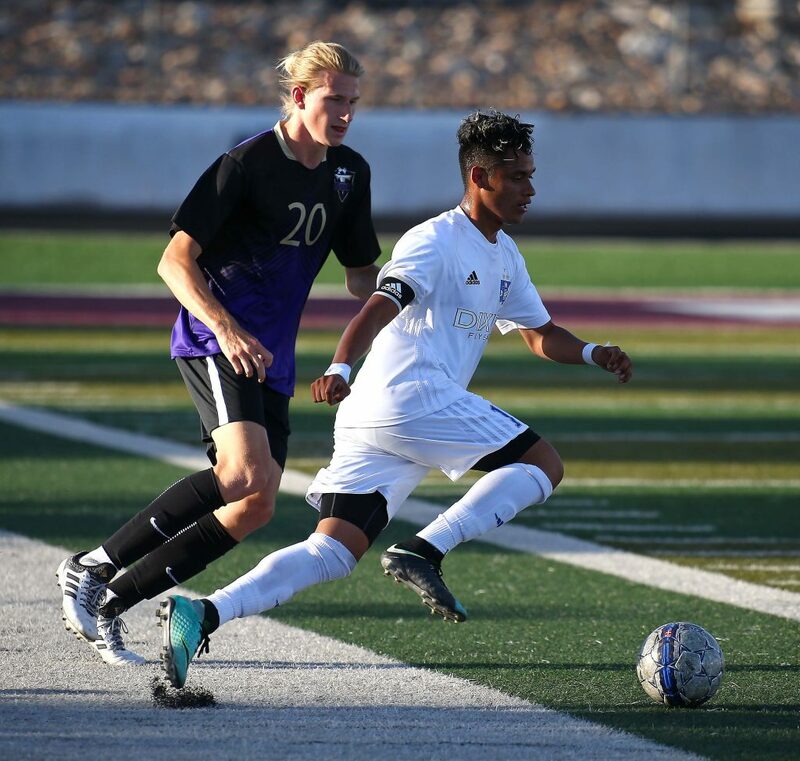 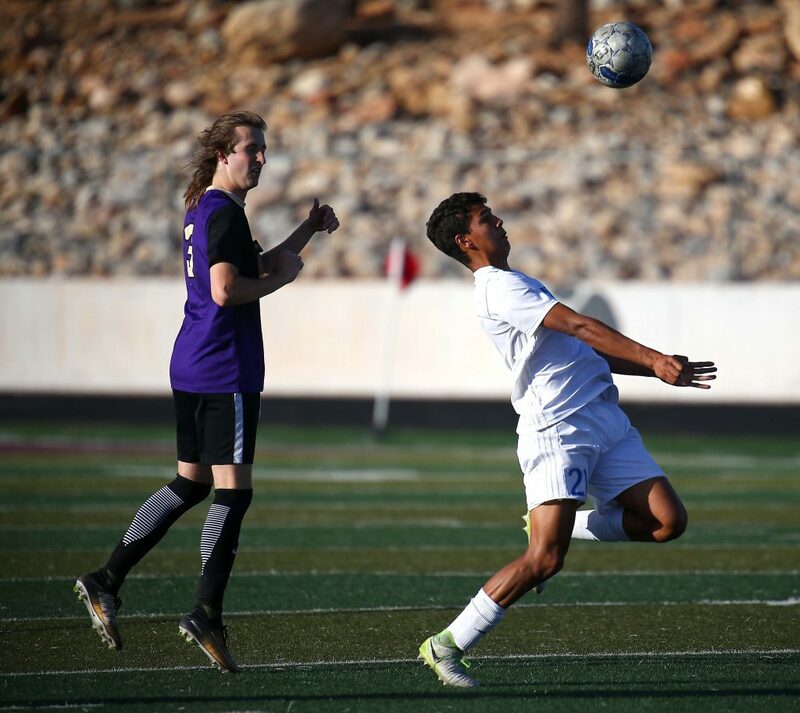 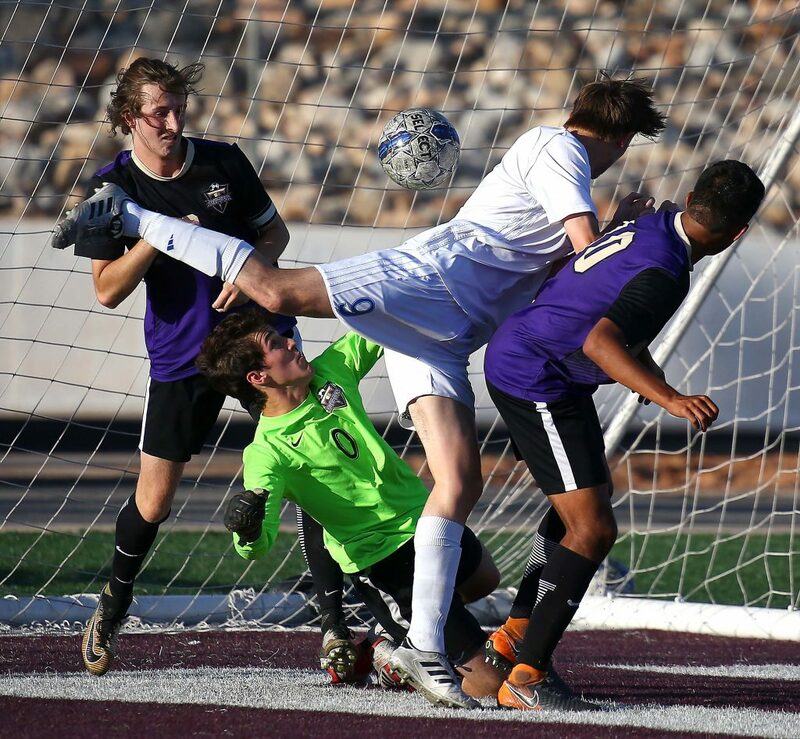 ST. GEORGE – Desert Hills has been a second-half team all year, so when the Thunder got an early goal from Kelton Holt just two minutes into the game, it was a sure sign it was going to be DHHS’s night. 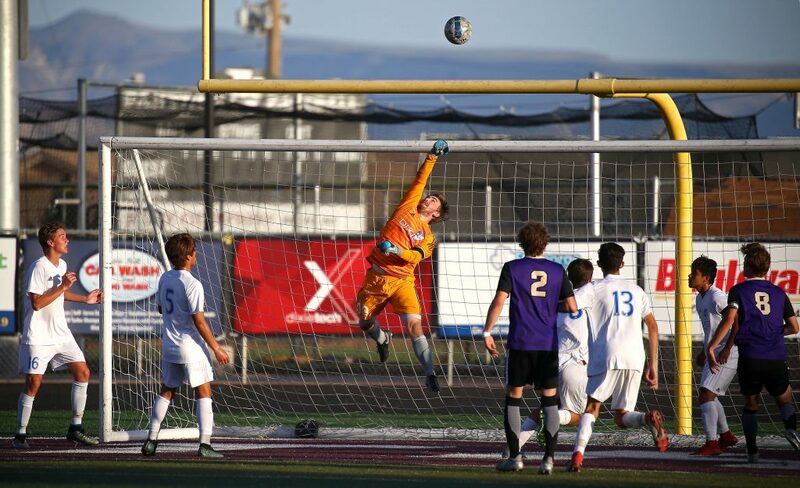 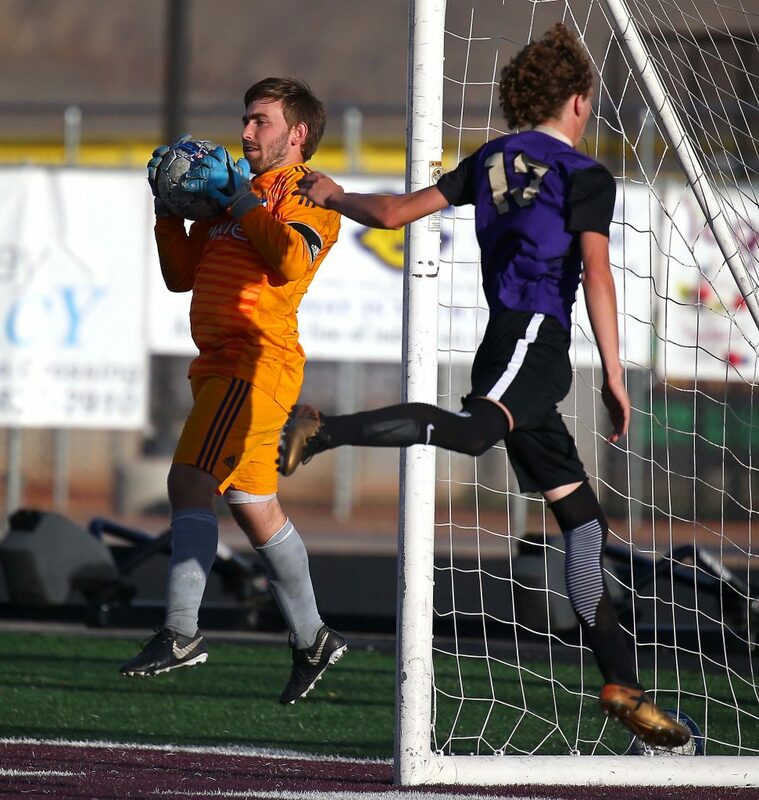 Holt scored less than three minutes into the game and freshman Trevin Kidman tapped in an open-net goal in the second half as the Thunder defeated cross-town rival Dixie 2-1 in Thursday night’s 4A semifinal at Pine View High School. 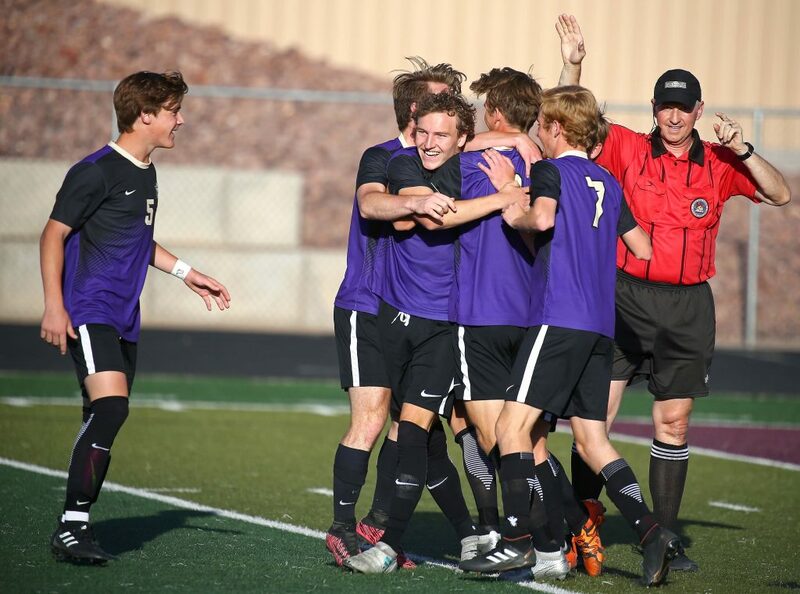 The win sends the Thunder into their first-ever chance at a 4A state championship. 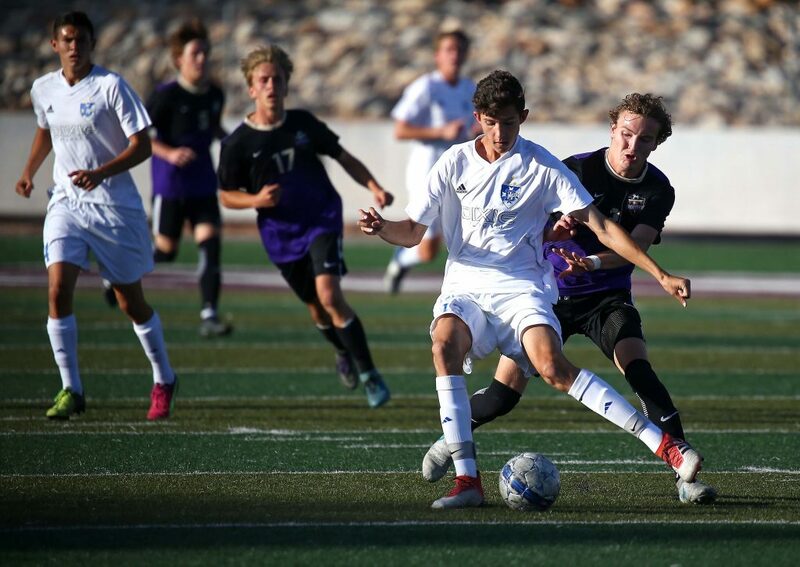 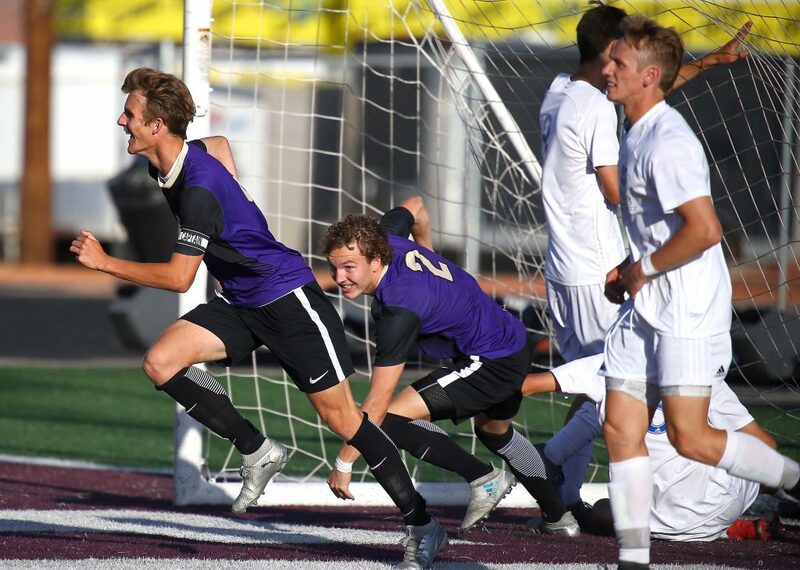 D-Hills will play Park City Saturday afternoon at 3:30 p.m. at RSL Academy in Herriman for the 4A title. 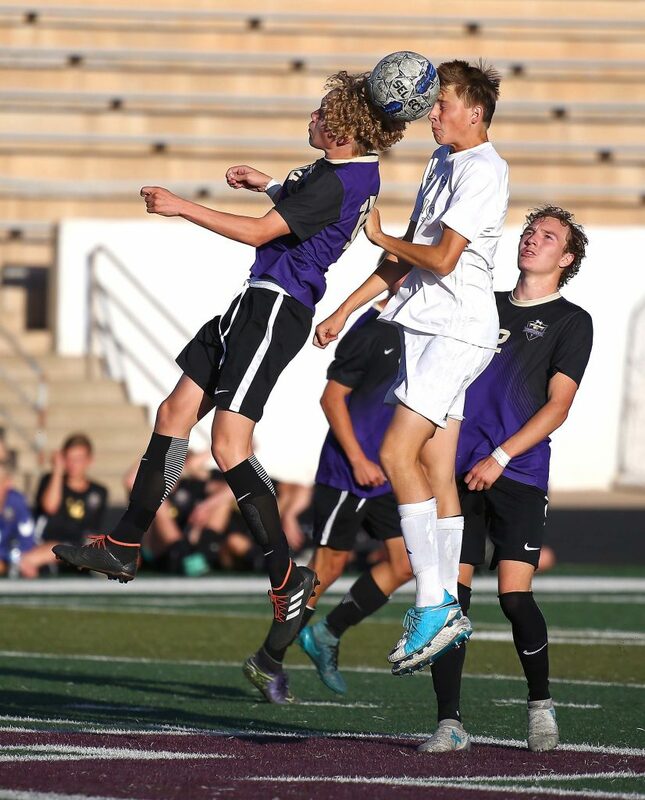 The entire outlook of the game took a D-Hills slant early on as Holt blasted in a goal on a rebound with under three minutes off the clock. 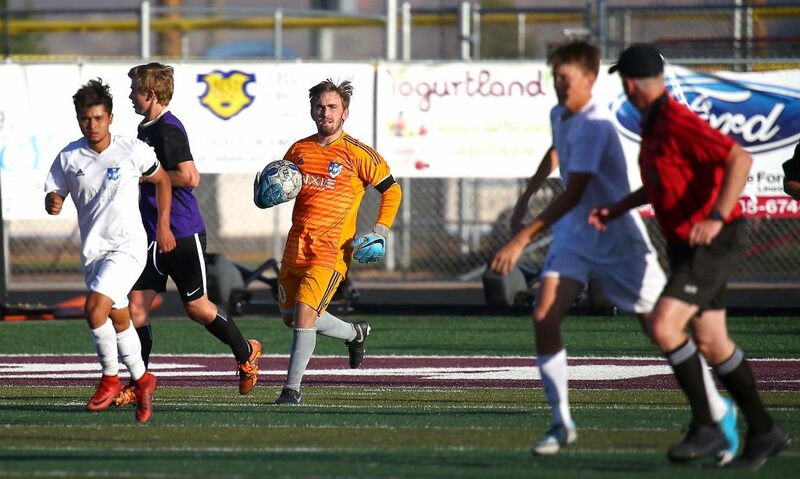 Dixie owned about a 60-40 advantage in possession the rest of the first half after Holt’s goal, but sophomore Preston Hodges was money in goal for the Thunder, stopping all Flyer shots, including a hard grounder by Oscar Quintero in the 19th minute and another save on a loose ball in the box in the 21st minute. 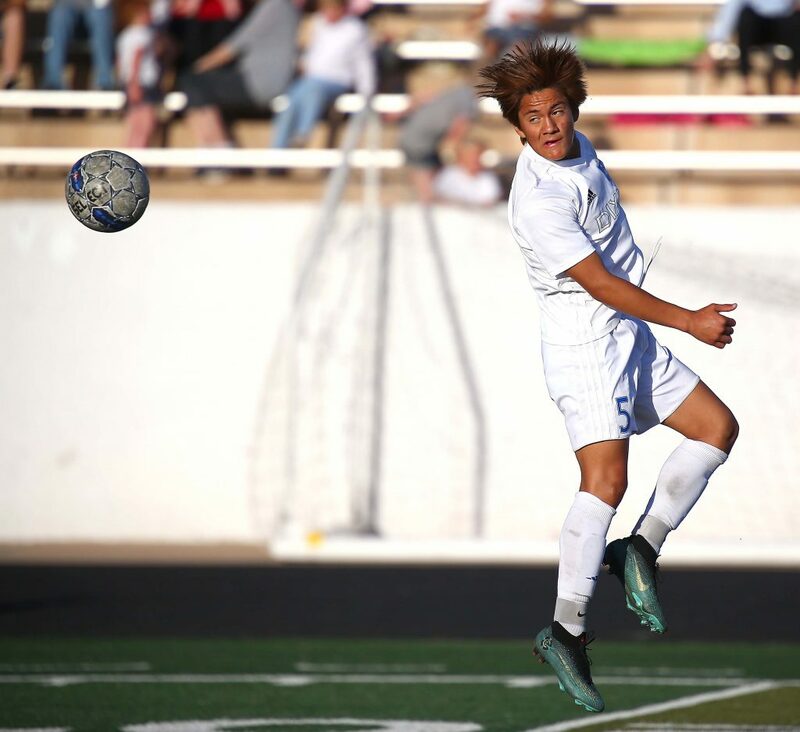 With the score 1-0 10 minutes into the second half, Dixie’s Tauri Morales fired a left-footed rocket low and hard to Hodges’ left. 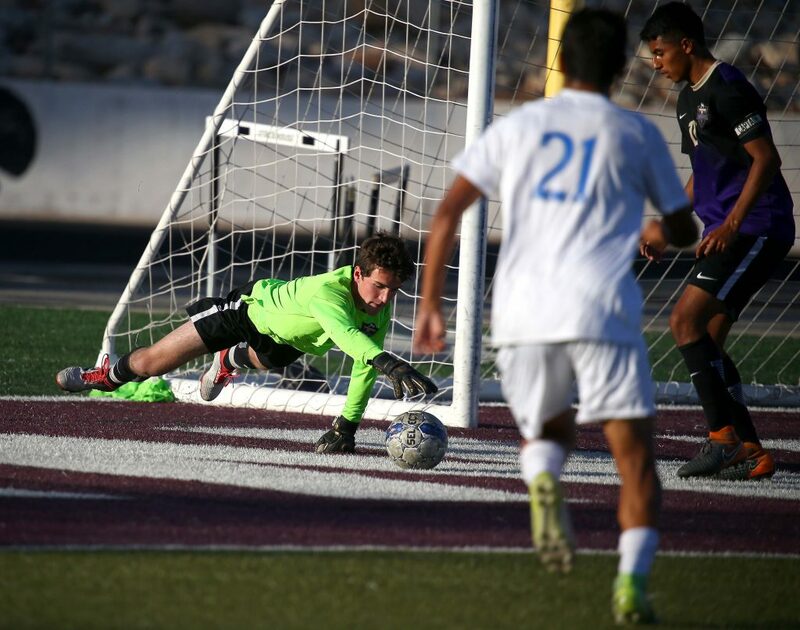 The young keeper made a diving save to preserve the lead. 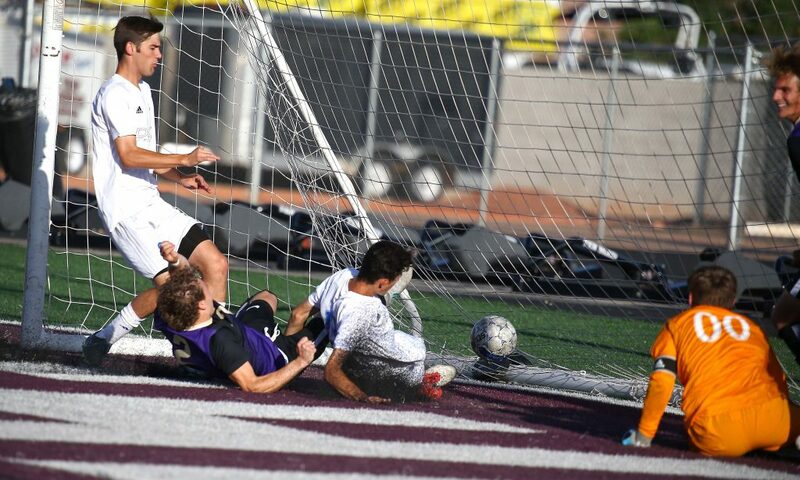 A few minutes later, the freshman Kidman scored what he called “the easiest goal of my life” with 16:49 left in the second half. 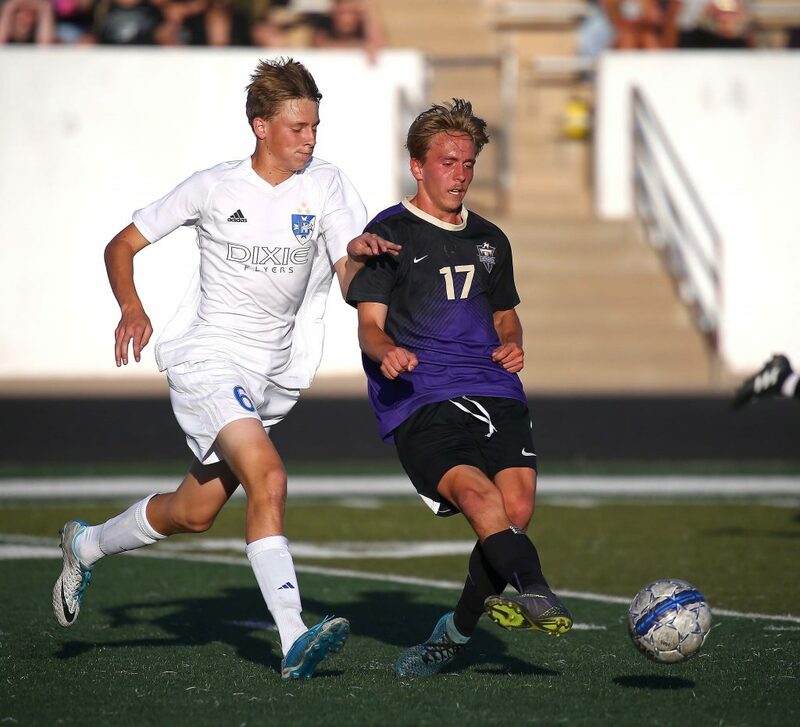 Holt and Dixie defender Jace Bennett converged on a through ball just as Dixie keeper Kieran Atkin got there. 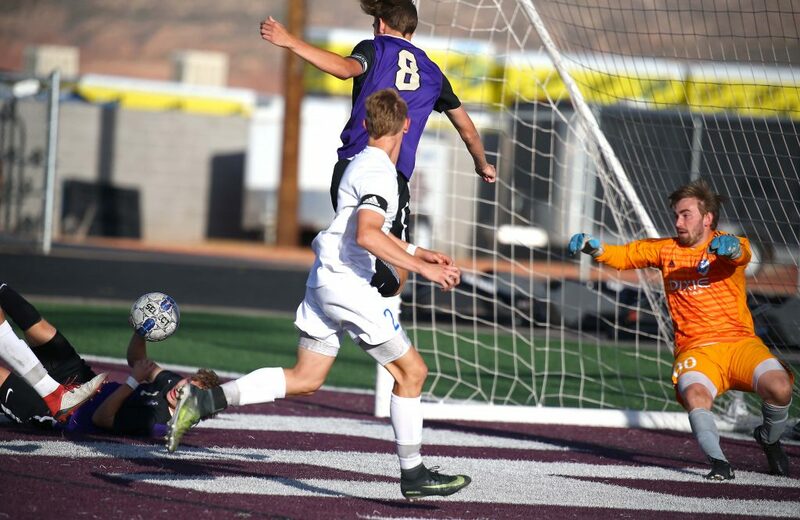 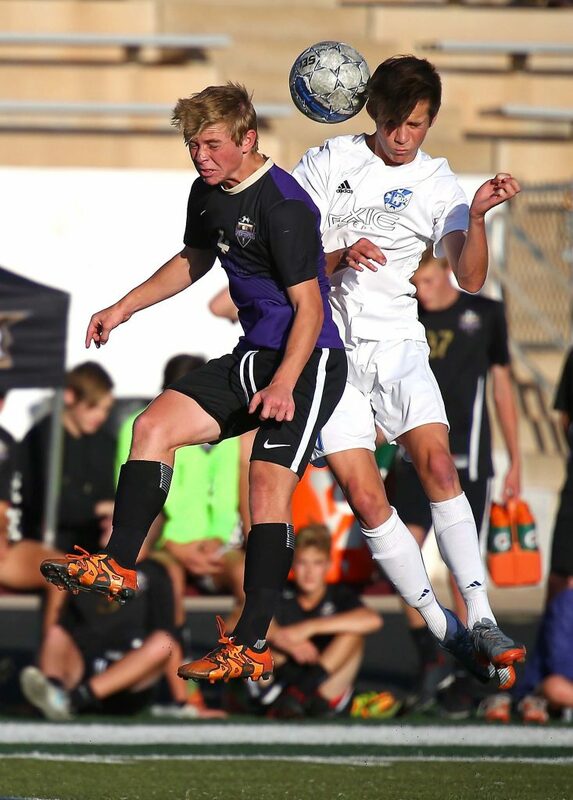 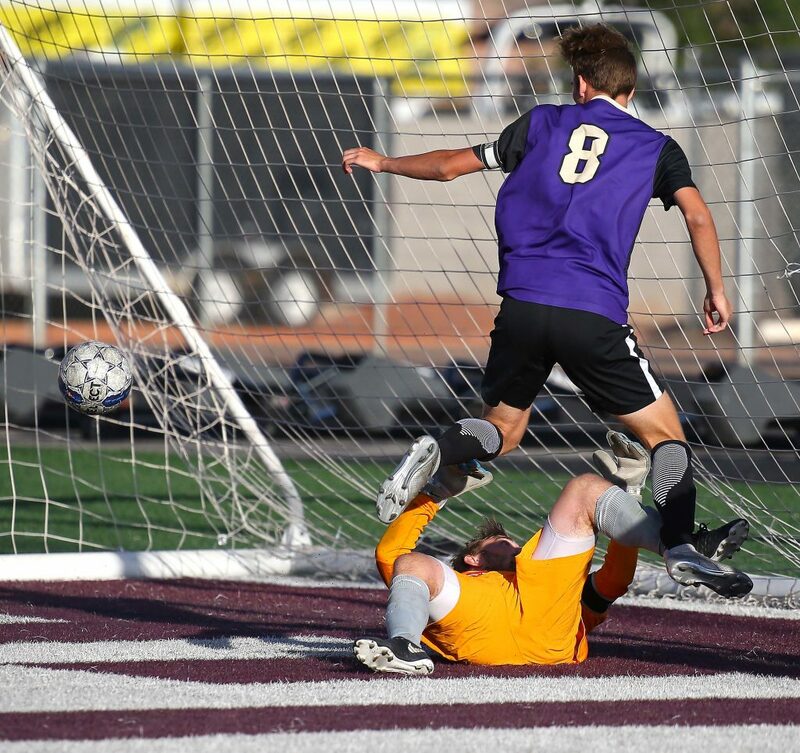 All three went down and the ball ricocheted to Kidman, who tapped the open-net goal home for a 2-0 Desert Hills lead. 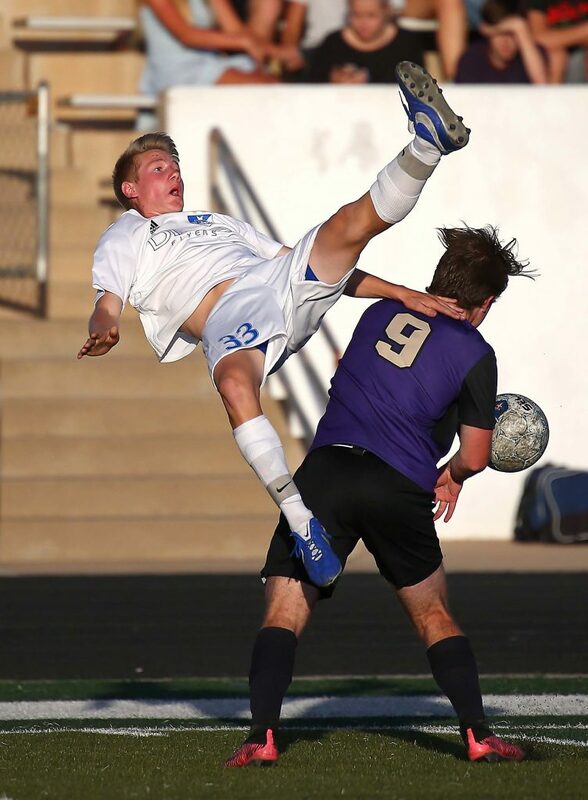 Holt said the Thunder defense was the key in the game. 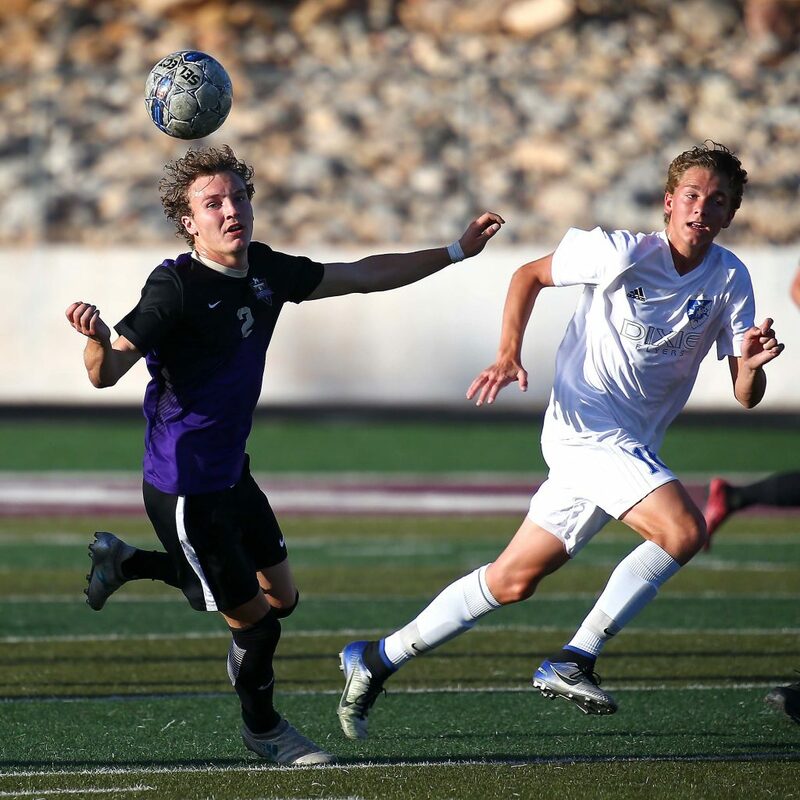 The Thunder, 12-2-4 on the season, have never won a boys soccer championship, but will battle Park City Saturday to try and change that. 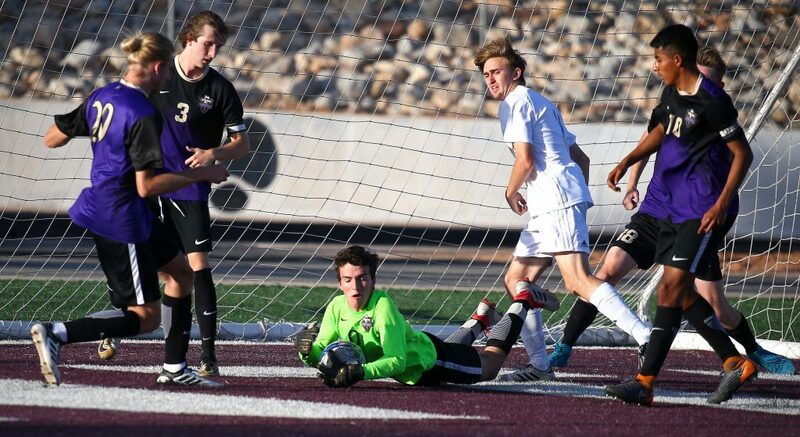 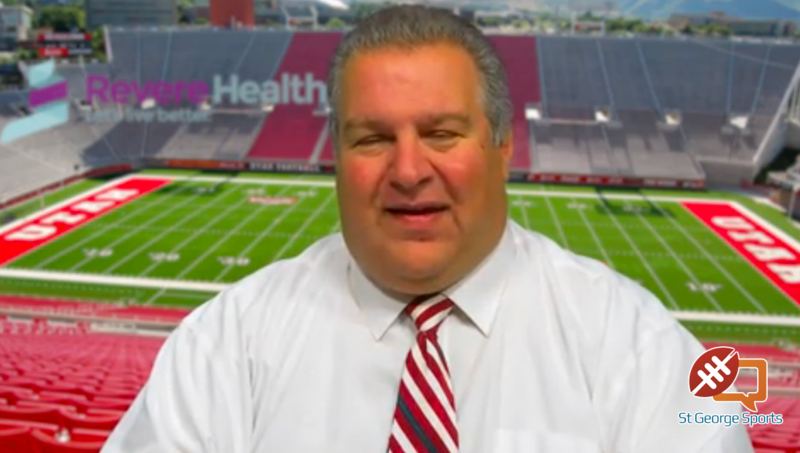 Park City (13-4-2) vs. Desert Hills (12-2-4), 3:30 p.m.